MONACO, Monte Carlo (CMC) - The astounding sprint world records that Usain Bolt registered at the World Championship this past summer are now official after the sport's world governing body announced yesterday it had ratified his 100 and 200 marks. The International Association of Athletics Federations (IAAF) confirmed that both marks, 9.58 seconds in the 100 metres and 19.19 in the 200, have been approved as official. On August 16, the first anniversary of his stunning Beijing 100-metre world record triumph in 9.69 seconds, Bolt raised the bar even further with his 9.58-second clocking at the 12th IAAF World Championship at the famous Berlin Olympic Stadium. 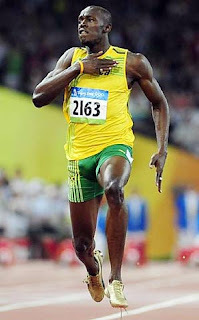 Four days later, Bolt sliced 0.11 seconds off his Beijing 200-metre mark of 19.30 with his 19.19 clocking. The IAAF also announced Wednesday its ratification of the women's hammer throw - also at the Berlin World Championship - by Poland's Anita Wlodarczyk, who set the mark of 77.96 metres.